There is no shortage of metal building manufacturers to consider. Panel Built is a family owned, United States based, modular manufacturing company that has been in business since 1995. It offers a promise of: Flexibility. Quality. Guaranty. Expertise. Service. By choosing this American company for your building needs, complete with on-site manufacturing, affords you an economical, high quality solution at the best and most competitive metal building prices. 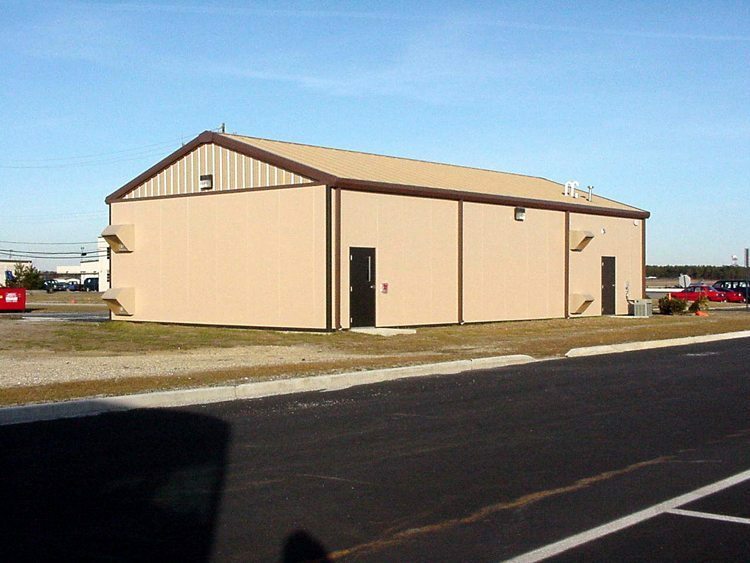 Metal buildings provide a convenient solution for various industrial, commercial and military building application needs: From pre-fabricated buildings such as storage buildings and guard houses, to ready to assemble buildings like equipment enclosures, and even to fully customized, need-specific buildings. Panel Built is dedicated to meeting construction timelines. A dedicated team of experts begins your project immediately upon receipt of a request for a quote and CAD drawing. From start to finish, the team works tirelessly to ensure on-time construction, delivery, and set-up so the client experiences no disruption to their business. Every Panel Built metal building comes with the assurance and guarantee of an exclusive workmanship warranty. 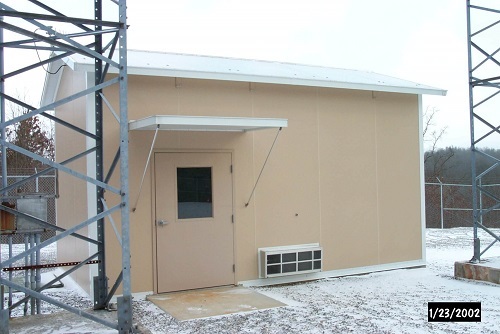 The buildings can withstand hurricanes and earthquakes and the panels used meet military specifications as well as exceeding the majority of OSHA requirements and national building codes. All panels used are finished both inside and out for a professional, quality look. The outside finish is a stucco embossed steel or aluminum. The inside finish is vinyl. The materials, such as aluminum and steel, used to complete the building also have a longer expected lifetime than the materials used in conventional construction. Companies expand and relocate all the time. Panel Built offers prefabricated buildings that are manufactured for mobility. Prefabricated structures are constructed with full-depth fork pockets and a welded structural steel base so that the buildings require no disassembly to be lifted by crane or forklift onto a truck, for immediate transfer to a new locale. Other benefits of Panel Built buildings include: low engineering costs, trouble-free construction, low maintenance requirements, and versatility of use. When reviewing metal buildings for sale, careful consideration of the proposed usage application is necessary. Panel Built has manufactured buildings with varied uses over the course of the company history. Their team expertise enables them to meet the needs of any standard or custom job request. When considering the specific requirements of a metal building, a prefabricated or ready to assemble building may not be the best option. Panel Built has the expertise necessary to provide a custom-engineered solution to meet any needs. Custom orders receive the same first class service customers expect from Panel Built. Clients can anticipate a timely quotation, detailed project drawings, competitive pricing, design and engineering support, and expert help and advice. The team walks every client through the wide selection of panel finishes, roof types, and accessories that are offered to ensure that every choice is exactly what the customer wants. The customized building systems are created through meticulous effort to guarantee the work meets every client’s specific needs. Just as construction costs play a significant role in business decisions, metal building prices play a part in a client’s purchasing choice. Panel Built understands this and provides a cost effective alternative to conventional construction. Clients are savvy and know the value of clear and detailed proposals, project drawings with proposals, short lead times, and on-time deliveries. Panel Built delivers all of these. Client’s needs are met with solutions that fit both the allotted space and budget constraints. Having successfully completed industrial, commercial, custom, and military projects throughout the company history, Panel Built prides itself on its ability to deliver total customer satisfaction. Potential clients are invited to experience the Panel Built difference: superior quality, dependable service, and innovative solutions.